At one point or another, we have all experienced the connection and bonding that can arise when making music or dancing with another person or in a group. Maybe it was singing in a choir or singing as a family in the car. Maybe it was dancing the “Electric Slide” at a wedding, chanting a sports anthem in a stadium, or making music in your Music Together class. In recent years, research has gained a better understanding of how and why the experience of shared music-making and movement can lead to such wonderful, and often profound, feelings of connection and unity. Advances in brain research have revealed that shared music-making can activate and synchronize similar neural connections in all participants, which results in feelings of togetherness and shared purpose and fosters positive social interactions and increased empathy between the adults. The research suggests that these benefits extend to young children as well. Preschoolers who engaged in joint music and movement activities showed greater group cohesion, cooperation, and prosocial behavior when compared to children who did not engage in the same music activities. The increased empathy and commitment (feeling of “we”) observed in the children in the music-making group was theorized to emerge from the shared intentions and collective goal of singing and dancing together. Even in infancy, adult-child music and movement interactions can lead to increased coordination and connection, both rhythmically and emotionally, between adult and child. Researchers now propose this might support infants’ earliest abilities to engage in positive social interactions with others. This news certainly has great implications for the fields of education, child development, and music therapy, but it also relates to our everyday lives in areas of family bonding and community-building. How wonderful that the simple and enjoyable act of making music together can lead to changes in cooperation, prosocial behavior, and emotional understanding for both young and old! If you have any questions about the studies cited above, please email news@musictogether.com. Cirelli, L. K., Einarson, K. M., & Trainor, L. J. (2012). 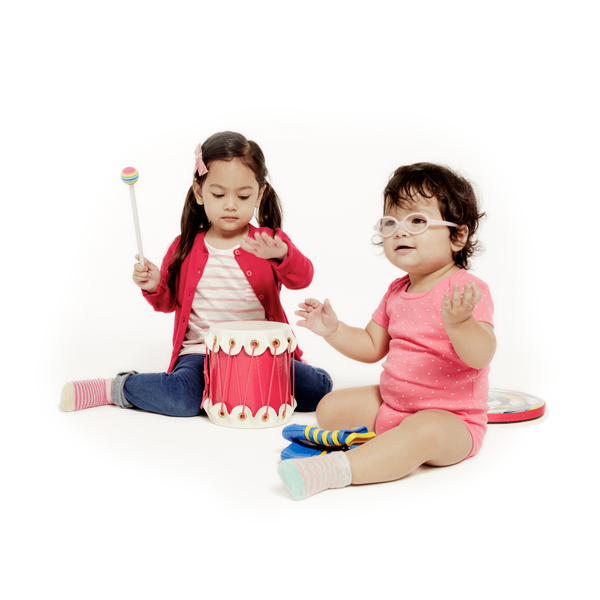 Bouncing babies to the beat: Music and helping behaviour in infancy. Paper presented at the 12th International Conference on Music Perception and Cognition, Thessaloniki, Greece. Kirschner, S. & Tomasello, M. (2010). Joint music-making promotes prosocial behavior in 4-year-old children. Evolution and Human Behavior, 31, 354-364. Overy K., Molnar-Szakacs I. (2009). Being together in time: musical experience and the mirror neuron system. Music Perception, 26, 489–504. Phillips-Silver, J. & Keller, P. E. (2012). Searching for roots of entrainment and joint action in early musical interactions. Frontiers in Human Neuroscience, 6(26).